By: Zach P. Hutton and Justin M. Scott, Paul Hastings. In Flores v. City of San Gabriel,1 the Ninth Circuit Court of Appeals considered an issue of first impression: whether “cash-inlieu of benefits” payments made directly to employees under a flexible benefits plan must be included in the regular rate of pay for overtime compensation. The court concluded that such payments do not qualify for exclusion from the regular rate under the Fair Labor Standards Act2 (FLSA). Therefore, non-exempt employees who receive such payments may be entitled to additional overtime pay. Because California law generally follows the FLSA with regard to the forms of pay that may be included in the regular rate,3 and federal law sets the “floor,” this decision may have significant consequences for California employers. The FLSA, like California law, requires employers to pay an overtime compensation rate of one and one-half times the “regular rate of pay.”4 The regular rate includes “all remuneration for employment paid to, or on behalf of, the employee,”5 subject to certain exclusions enumerated by statute, including two relevant here. Non-exempt employees who had declined coverage and received cash payments of up to $1,300 each month filed a lawsuit alleging that they were due additional overtime compensation because the City failed to include the benefits payments in their regular rate of pay and, as a result, the benefits were excluded from the City’s calculation of the overtime rate. In addition to holding that the City’s cash-in-lieu of benefits payments must be included in the regular rate, the Ninth Circuit reversed the district court’s conclusion that the City had acted in good faith in excluding the payments, and, instead, concluded that the City’s overtime violations were willful. The court based its willfulness finding on the fact that the City had not shown that the human resources personnel who made the determination took any affirmative steps to ensure that the payments qualified for exclusion—despite the fact that there was no binding, on-point case authority at the time. Cash-in-lieu of benefits payments made directly to employees who have alternate coverage have become an increasingly common benefit. According to the Ninth Circuit’s decision in Flores, making such payments to non-exempt employees will create an added overtime cost, as the payments must be included in the regular rate of pay for calculating overtime compensation. Therefore, employers who have adopted this benefit for non-exempt employees should take steps to evaluate the effects of this decision on their pay practices. Zach Hutton is a member of the Employment Law Department of Paul Hastings. His practice spans all aspects of employment law, including discrimination and harassment, wrongful termination, family and medical leaves, and wage and hour issues. He has successfully represented employers in numerous class actions, individual plaintiff cases, labor arbitrations, and administrative hearings. Mr. Hutton also provides advice and compliance guidance on complex wage and hour issues to clients in a variety of industries. Justin Scott is a senior associate in the Employment Law practice of Paul Hastings and is based in the firm’s San Francisco office. Mr. Scott litigates employment matters with a specific focus on defending wage-and-hour class and collective actions. He also has a wealth of experience defending individual actions, including numerous discrimination, retaliation, and individual wage-and-hourclaims, as well as advising employers on compliance issues. 1. 2016 U.S. App. LEXIS 10018 (9th Cir. June 2, 2016). 2. 29 U.S.C. § 201 et seq. 3. See, e.g., Division of Labor Standards Enforcement (DLSE) Enforcement Policies and Interpretations Manual § 49.1.2 (“In not defining the term ‘regular rate of pay,’ the Industrial Welfare Commission has manifested its intent to adopt the definition of ‘regular rate of pay’ set out in the [FLSA] 29 U.S.C. § 207(e).”). 4. 29 U.S.C. § 207(a). 5. 29 U.S.C. § 207(e). 6. 29 U.S.C. § 207(e)(2). 7. 29 U.S.C. § 207(e)(4). 8. Flores, 2016 U.S. App. LEXIS 10018, at *6. 9. Id. at *6. 10. Id. at *6–7. 11. Id. at *8–9. 12. Id. at *12–13 (quoting 29 U.S.C. § 207(e)(2)). 13. Id. at *12–13. 14. Id. at *17. 15. 57 F.3d 574 (7th Cir. 1995). 16. Id. at 578. 17. Id. at 578–79. 18. Id. at 578. 19. Flores, 2016 U.S. App. LEXIS 10018, at *17. 20. 842 F.2d 1456 (3d Cir. 1988). 21. Id. at 1458. 22. Id. at 1462. 23. Flores, 2016 U.S. App. 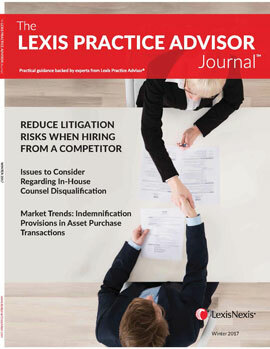 LEXIS 10018, at *18. 24. Id. at *18. That ground for distinguishing Minizza is questionable, as the opinion made clear that the payments had a dual purpose: to induce employees to ratify the agreement and substitute for future wage increases. See Minizza, 842 F.2d at 1458. 25. 2016 U.S. App. LEXIS 10018, at *21 (quoting 29 U.S.C. § 207(e)(4)). 26. Id. at *21. 27. Id. at *22. The plaintiffs in Flores also contended that payments made to the plan itself, to provide for benefits, did not qualify for exclusion. Although beyond the scope of this article, the Ninth Circuit concluded that those payments were included in the regular rate of pay on the ground that the plan was not “bona fide,” as that term is used in Section 207(e)(4), because far too high a percentage of the payments were made directly to employees. Id. at *9.